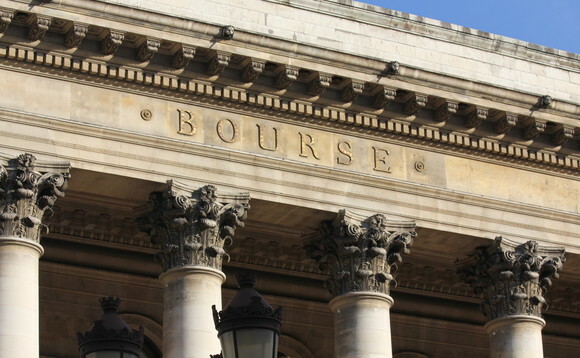 European stock exchange operator Euronext has released a study on the identity of the shareholders of Paris exchange main index CAC 40, that gathers 40 of the largest French listed companies. The research looks at shareholders of CAC 40 index companies between year-end 2012 and year-end 2016, for a total worth of €1.35trn as of end December 2016. Some 58% of the shareholders have been identified, mostly through company records (34%). Index trackers versus ETFs- Which is the better solution? Euronext’s study finds out that the Arnault Family Group, which owns French luxury goods group LVMH, was the largest shareholder of CAC 40 as of end of December 2016 among the 58% shareholders identified. It held 3.2% of the index before the French state (3%) and the Bettencourt Meyers family (2.4%), majority shareholder of French cosmetics giant L’Oreal. The fourth largest CAC 40 shareholder at the end of 2016, according to Euronext findings, was BlackRock, holding 2.3% (€31bn) of the index at that time. The US asset manager was followed by Vanguard (2% of CAC 40 holdings or €28bn). As at end of December 2016, some 2,000 asset managers had invested €350bn in the CAC 40 spread across 15,000 funds, reveals Euronext’s study. Asset managers represented 25.9% of the shareholders identified in 2016 when they were accounting for 21.9% in 2012. However, behind the rise, their share has plummeted in comparison to 2015 when they formed 28% of the CAC 40 shareholders identified by Euronext. In that 25.9% bit, 19.3% of the asset managers held stocks of the CAC 40 in active funds and the remaining 6.5% in passive funds. Also passive funds owned more than 5% of 29 companies of the French index whereas this mark was only reached for a single firm of the CAC 40 index at the end of 2012. Euronext specified that six CAC 40 firms have seen their passive funds shareholding double between December 2012 and December 2016. The second phenomena stressed by Euronext deals with shareholding concentration. At the end of 2016, the five main identified asset managers (Amundi, Blackrock, Capital Group, Natixis and Vanguard) in the CAC 40 held 7.1% of shareholdings over the 28% asset managers identified against circa 5.1% in 2012. Other findings of Euronext’s study show that 19 of the CAC 40 companies had family or founder-based shareholders at the end of 2016, 10 of which had more than 20% of shares held by a founder or family-based holding. The research highlights the decrease of the French State’s shareholding in CAC 40 companies to 3% (€40bn) from 6% in 2012 (€57bn). Euronext explains that the drop by the removal of EDF from CAC 40 in 2015 and the withdrawal of APE and CDC shares – APE and CDC are both owned by the French state – in several CAC 40 companies. Lastly, the sovereign funds of Norway (1.6% or €21.38bn), Belgium (0.6% or €7.73bn) and Qatar (0.2% or €2.99bn) remained the foreign funds that were the most invested in CAC 40 firms at the end of 2016.